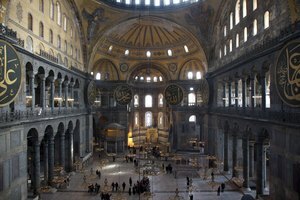 How Did the Byzantine & Islamic Empires Influence the World Today? 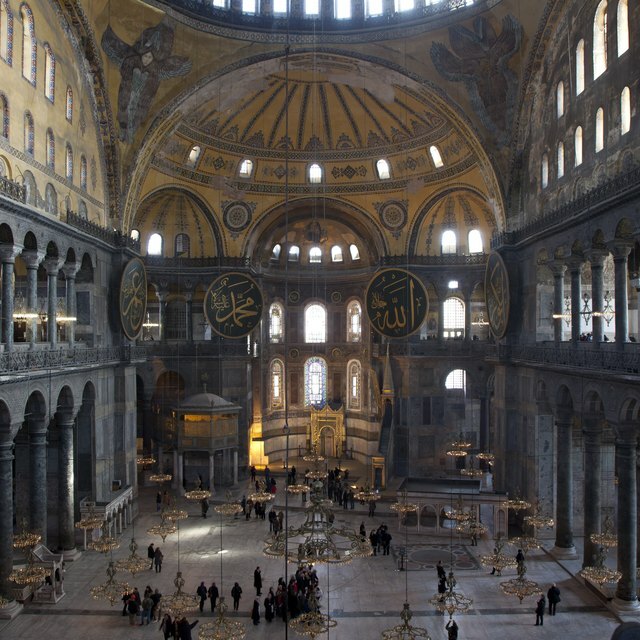 How Did the Islamic Empire Contribute to the European Renaissance? Advancements made by the Islamic culture have been significant. They include inventions or discoveries used every day by a huge portion of the world's population like soap, coffee and the post office, as well as more esoteric contributions like poetry, literature and philosophy. One of the most important areas in which Muslim contributions advanced civilization is the area of mathematics. Moreover, it was Islamic culture that bridged the Dark Ages to conserve much of early civilization's contributions from being lost forever in the medieval period. Many people associate coffee with Latin America. However, coffee hails from Ethiopia, and the story is that it was discovered by a young Arab tending his goats. Coffee drinking and the coffee house are still strong traditions in the Islamic world. Other inventions in daily use that arose from Muslim culture are soap and shampoo. Cultivating olives is a traditional occupation in the Mediterranean, and Arabs were the first to combine olive oil and lye to create soap. In England, a Muslim Indian introduced the first shampoo in 1759. The fountain pen, the pinhole camera and many surgical instruments are all products, along with many others, of the Islamic world. Algebra was invented in the Islamic world. Arguably the most important contribution originating with Islamic culture is in the field of mathematics. Almost everybody uses Arabic numerals. However, although our basic numbering system is pre-Islamic, much of the math built on the basics originates in Islamic culture. The word algebra comes from Arabic, and algebra, algorithms and much of trigonometry all come from the Islamic culture. In the field of science, based on their observations of the sun in relation to the earth, Muslims believed the world was round as early as the ninth century. Moreover, it was a Muslim woman who founded the world's first university. Islam was not just concerned with calculations, but also with the soul. The literary and artistic traditions of the Islamic world contributed much to society. People all over the world have enjoyed "The Thousand and One Nights," and Khalil Gibran continues to be one of the world's most loved poets. In the field of philosophy, Avicenna and Averroes influenced many later philosophers, but perhaps equally important are the Islamic traditions of isnad and ijtihad. 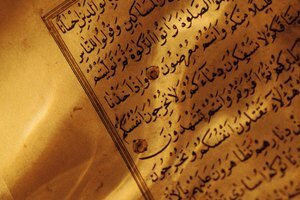 Isnad, used to verify the hadith, or sayings of the Prophet, is a form of documentation of sources. Ijtihad is a process by which legal, or questions not precisely covered by law, may be questioned and interpreted. 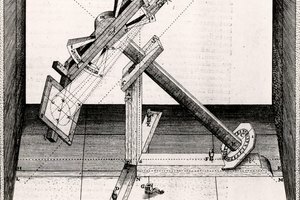 These processes greatly influenced modern scholarship and law. In addition to the many advancements made by the Islamic world, one very important societal contribution was the translation and preservation of early works during the medieval era. Had it not been for the Islamic translators and libraries, Greek history, philosophy and literature would have been largely lost. By saving these texts, Islamic culture allowed later generations to access them. Sara Powell began her writing career at the "Washington Report for Middle East Affairs" in 2000 while working on a Ph.D. in Middle East History at Georgetown University. She has also written and edited for San Francisco based bilingual newspaper "El Tecolote" and various online sites. What Items Were Transported Over the Silk Road? What Time Period Did the Victorian Era Cover? What Did Fleming Do in Microbiology? , Sara. "Advancements Made by the Islamic Culture." 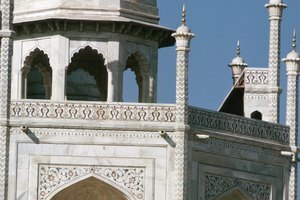 Synonym, https://classroom.synonym.com/advancements-made-by-the-islamic-culture-12087173.html. 29 September 2017. 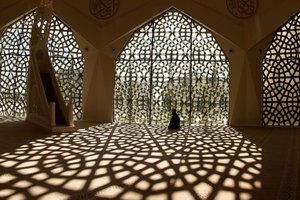 What Is the Relationship Between Philosophy & Theology Within Islam?